Clout were originally a 5-piece, all-girl group, though their cover version of an obscure Righteous Brothers' song, 'Substitute' (composed by Willie Wilson), featured members of the band Circus. The Circus musicians were paid R34 each for the arrangement and backing the session. It was just another daytime gig - pocket-money for club favourites who were making R1 200 a month each from door money. For them, backing a Clout single was just another step in their progress from Hillbrow to Hollywood. Just like Clapton playing on the Beatles White Album. It didn't threaten their own career: their own album, In The Arena, had just been released. Produced by Graeme Beggs and first released in November 1977, 'Substitute' reached UK#2 for 3 weeks in June 1978 (held off the coveted #1 spot by 'You're The One That I Want' by John Travolta and Olivia Newton-John) and achieved #1 status in New Zealand, Australia, Germany, France, Belgium, Holland and South Africa. Went to #67 (some sources say #61) in the USA for 1 week in September 1978 and stayed 10 weeks in the US charts. For a full chart history of 'Substitute' in the US and UK charts go here. 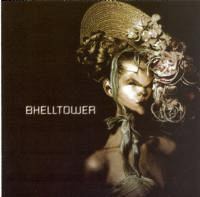 Apart from its sales in Britain (over 600 000 sales) it was in the Top 5 in France for 4 weeks (400 000 sales); No.2 in Holland (100 000); No.1 in Belgium (60 000); and No.1 for seven weeks in South Africa. I have taped episodes 2, 3 and 5 of ''The Edge'' on the then TV1, directed by Cliff Graham for the SABC (MCMLXXXVII). The script was by Gus Silber and reflected the history of South African pop music (Hawk doing 'Orang Outang' on stage and early Rabbitt at Ellis Park Tennis Stadium, sponsored by GAP jeans - fights and all!). In one of the episodes Cindy Alter of Clout was interviewed and the following comes out of that interview. Cindy Alter: Graeme Beggs actually knew Glenda. 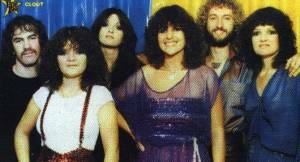 Glenda was our keyboard player and Graeme had managed Glenda's band that she was with before. She told us there's this manager, he's got a record company, he'd like to see you. Can I bring him around one Saturday afternoon when we're rehearsing? And that led on to another thing. Graham came to a few rehearsals - he liked what he saw. He saw some potential there and said "Look I've got a good song I'd like you to record". And that was 'Substitute'. Mike Fuller and Clive Calder also approached Clout and said, "Please come with us we'll make you famous" and Graham also said, "Come with me I'll make you famous. At that stage we went with Graeme because we were going overseas the next day. He said, "Sign the contract girls and we'll go overseas"... so we did. On the fact that "she hasn't got millions and doesn't drive a BMW or a Mercedes," Cindy mentions that they, "...didn't read the fine print and what ensued was not what we had expected." She further states that, "It did become a bit of a puppet show with the grand master puppeteer raking in all the money and the poor little puppets getting put in the box at the end of the day." 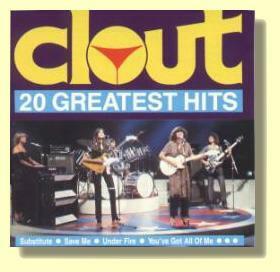 It is also interesting to note that according to the narrator, the fact that it came out that none of the members of Clout had actually played instruments on the single ('Substitute') and their places were secretly taken by an all male session band (Circus), helped lead to the "downfall of the group".